Well, I am back in town again, after my quick weekend away to DC and ALA. I arrived in the afternoon on Friday the 22nd after a crazy week at home which consisted of a Hoedown (I'll be posting those pics soon), end of school year craziness, getting kids from here to there and back again, and then getting ready for the trip to DC. I settled in to my hotel room, thought for a minute, and then decided to give myself the luxury of a museum visit with no distractions, and a great dinner out. I saw three great exhibits at the Smithsonian American Art Museum. One was an exhibit entitled: "Illuminations"--a collection of wonderful works by Saul Steinberg. I have always loved his art, but never have I seen it up close and personal. Truly inspiring! I loved the playfulness and the confidence with which he manipulated his lines. Also up was the art of William Christenberry along with an exhibit of folk art which he curated. I think that folk art is one of those genre's I NEVER get tired of. This collection did not disappoint. Between the three shows, Steinberg, Christenberry and the folk art, I left the museum filled with ideas about how to bring my own work to new levels of sophistication as well as naivety--at the same time. And it was wonderful to see how much the flavor of Steinberg's work was mirrored in the aesthetic of the art of the untrained artists. The three presentations were wonderful complements to one another. Not even a block from my hotel was a wonderful French restaurant. Delicious food along a few champagne cocktails makes for a great evening. And my waiter even showed me his nice portfolio of DC photography. I came back to my hotel room thoroughly relaxed and I actually hit the sack before nine--something I have not done since about 1966. My apologies to the restaurant and the waiter--I misplaced their cards. Otherwise I would have mentioned their names and web sites (please feel free to email me, both of you). 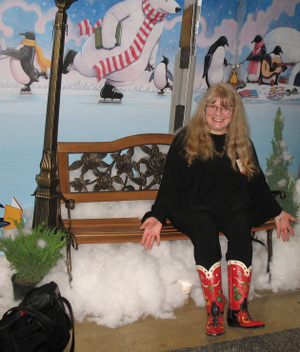 The next day was my day at ALA, which began with attendance at the Children's Poetry Jam. This panel was moderated by Sylvia Vardell, and the panel members consisted of: Jack Prelutsky, Betsy Franco, David Harrison, Joyce Sidman and Marilyn Singer. It was entertaining as well as inspiring, since I love to write poetry. I was brought to the panel by my editor, Meredith Mundy Wasinger. After the jam and after she and I had a great lunch at an outdoor cafe, we went back to the conference where I got ready to sign books. I always find signing books to be a satisfying experience. This time was no different. It was a very enjoyable signing session, with me sitting there for about an hour and a half signing books for a nice steady stream of very enthusiastic new owners of Tex and Sugar. What a pleasure it is to meet people who want to buy your book. I never get tired of talking with each and every one of them. Out to a wonderful dinner with the great folks at Sterling capped off the evening deliciously! They made me feel thrilled to be there. OMG... DC, ALA, IMHO, BFD. TGIF. I had the pleasure of going to TLA in San Antonio in April for my first real signing after TEX & SUGAR came out. Now this is my first at ALA for the same reason. If you are in town please stop by the Sterling Booth (on your way to Mitali's party, of course!). I'll be signing there from 3-4 PM. I arrived on Wednesday to a beautiful sunny day in San Antonio. Considering I have not been on an airplane since 1999, that was no small feat for me! After checking into the hotel, I realized I had not eaten all day so I went out for a walk, and, not knowing any better, promptly found the most New York looking deli in all of Texas--where I got a boring sandwich. Had I known about how wonderful the Riverwalk was, I would have waited. The Riverwalk was truly lovely. As the evening rolled around, I walked along and just enjoyed the people, the music, and the sights. And the birds. The birds in the trees along the walk sang and chirped so loudly, and with such vigor, I actually thought that they were artifcial sounds piped in for effect. You know--like Disney kind of artificial. But, no, they were real birds, chatting away nonstop. They were actually all over the city. I loved hearing them. When I made a comment about the wonderful chirping to the cab driver who took me back to the airport on Friday, he said "Those birds? We're trying to get rid of those darn things. They don't shut up and they poop all over." It was great fun to spend time with Meredith Mundy Wasinger and also the great people at Sterling who have been such fun to work with. Having never been a signing author at something like this before, I was totally "in the moment" with the fun of it all, almost like a kid. I had my boots and my hat--and so did the rest of the Sterling staff. 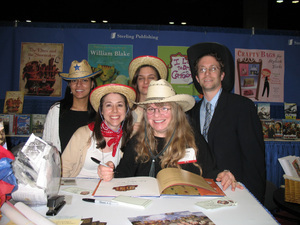 Here we are all decked out after I signed every copy of my book they brought to TLA, except the display copy. You can't tell, but they all have on cowboy boots, too. The people standing in line were so very friendly, patient, and fun. It was a pleasure to sign their books! 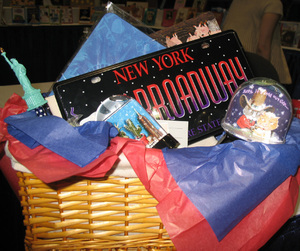 Someone got to win the Tex and Sugar/New York gift basket, including two of the snowglobes I made. My one regret was not having enough time to go around and take more pictures of my friends' books that have recently been published or are about to be. One publisher--whose name will not be printed here--neglected to bring a copy of a book that JUST CAME OUT by one of my friends, as well as the F and G's of another JUST ABOUT TO COME OUT! What's with that? As my husband's old Rabbi used to say, "Not so hotsy totsy, Mister." I thought it was funny that I found one publisher who thought it was a great idea to set up some display snow, just in case you were longing for winter. Hey--check out those boots from Rocketbusters! I did manage a quick shot of this display of F amd G's from FSG, including my friend Maryann's upcoming book, Jack's Talent. I would love an opportunity to go back to San Antonio again. It was too short a time to enjoy everything the city has to offer. I did find some great Mexican folk art Wednesday evening at a gallery on the Riverwalk. Hey, would I pass up an opportunity to COLLECT? I had my treasures shipped. My suitcase was almost unzippable even before I left Boston. Add a San Antonio Snowglobe or two, and a tee shirt, and that was about it. So I eagerly await my carved and painted art: a colorful Armadillo and two angel pieces from Oaxaca. The angels looked kind of like this cheerful soul. Hey, maybe that's why I had such a good time--lucky charms! My trip? Tomorrow I fly off to San Antonio, Texas and the Texas Library Association conference. The great people who gave life to the characters of Tex and Sugar, Sterling Publishing, are sending me down there to sign my new picture book. This will be the first official time I am signing as both author AND illustrator. I am tickled pink. PLUS: Where could be a BETTER place to kick off a book about country music kitties than Texas, the place I have been thinking about since I was a little girl? And, when I say I used to dream about Roy Rogers and everything cowboy, AND dress the part, to boot (pun intended), I mean it. I had the whole get up: fringed skirt, vest, hat, and boots. Even gloves. I had cowboy gloves. But back to TLA. 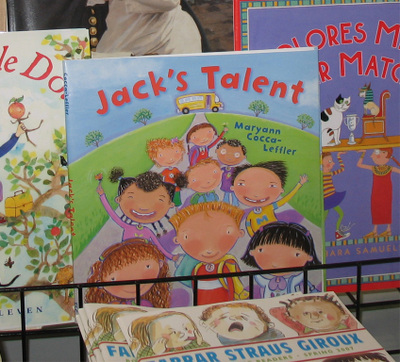 I am very eager to help launch the book, and to connect with librarians and other people who are as obsessed about books for kids as I am. I also hope to be meeting in person some people I only know on line-- like Chris Barton, Dotti Enderle and several others. My friend Ruth McNally Barshaw will be there in spirit, represented by her book. It is just about to come out in May: Ellie McDoodle: Have Pen Will Travel. She is so busy working on Book 2 that she is virtually chained to her studio, and cannot attend. Finally, I am excited and looking forward to spending time with Meredith, my editor, and meeting all the hard working people at Sterling that I have heard about and spoken to, but not met yet. If you go, look for bright red and black cowboy boots with TEX & SUGAR written on them. I'LL be sporting my brand new cowboy boots from Rocketbusters, along with a hat. FINALLY! I have a genuine reason to put on a cowboy hat. When you see me try not to laugh too hard at the New Jersey cowgirl, all grown up and now hailing from suburban Boston. My kids would have a field day making fun of me, but they will be home in Massachusetts. They'll never see the pictures.....so don’t tell them. If I do take any nice photos, you will get to see them. I hope to bring the camera, shoot pictures, and report back. Serious time has to be given to checking out all the wonderful new books that are making their debuts, so I want to try to capture the displays if time allows. Many new books are coming out, and a good number of my friends are among the new authors. 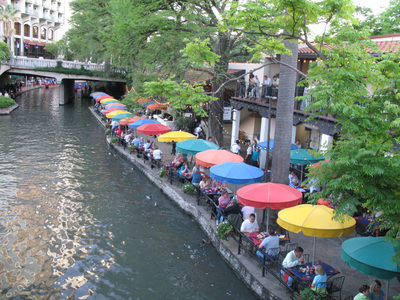 With what little time is left over, I hope to enjoy a little bit of San Antonio, which I am told is wonderful. Most of all, I will be trying to savor the moment. Let me tell you I am not so jaded as to be afraid of admitting: I am thrilled. I've been illustrating for a long time. I think I first dreamed about something like this 25 years ago. The book that is. I first dreamed about the book 25 years ago. I dreamed about cowboys long before that. I made it! I'm in NY and ready to party! Like a gazillion other people I am in NYC for the SCBWI midyear conference. I've been coming every year for a while. Five? Six? Lost count. I love getting to this event and I love getting to NY, the object of many of my fantasies. Rode the train down from Boston. Luv that Acela! Enjoyed a little wine, Annie Lenox, Bruce and Sting on the way down. Smooth sailing. A little over 3 hours and I was in a cab heading to the hotel. I'll try to get to the Kid Lit Drink night tomorrow. 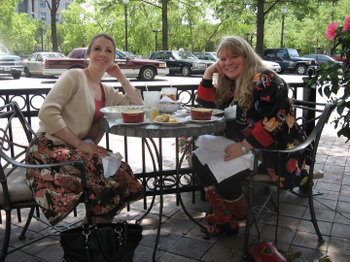 My editor met Betsy Bird at ALA in Seattle and told me she is very nice and that I should meet her. I follow directions very well, so off I will go. And I'll be getting together with other authors and illustrators who have flown in from all over the place. Hope to meet a lot of people IN PERSON, that I only know ON LINE! Even if we've never met, I'd love to meet YOU and hear where you are from--whoever YOU are! Pictures to follow on this blog or on the Picture Book Illustrators blog next week. I know it is not nice to covet...but I think I would very much like to live the lifestyle of Aline and R. Crumb, although I think one husband is more than enough for me to love, thank you very much. I love their sense of humor, I love the sound of the kind of artistic community they live in, and I would love to learn to speak French. And French food? Did I mention French food? I think I remember that in the documentary "Crumb", Robert said that he traded one of his sketchbooks for a house in France. So this must be the place? Can I interest any French property owners in some old sketchbooks? How about ALL my old sketchbooks? If I added about 100 cookie jars? How about my dog? I'll throw her in. She's a FRENCH bull dog, ya know. In today's NY Times, Sunday Styles section check out this nice article on them and their lifestyle. If you have never caught their "reports" in the New Yorker, then you have missed some of the funniest stuff I have read in years. 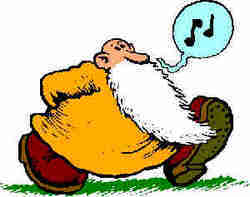 I first discovered R. Crumb and his comix in 1972, while visiting a friend at SUNY Buffalo with my husband to be. I was riveted by his stuff--so retro in art style, so in your face and so raw. Loved it! I'm still truckin'......at least in spirit.